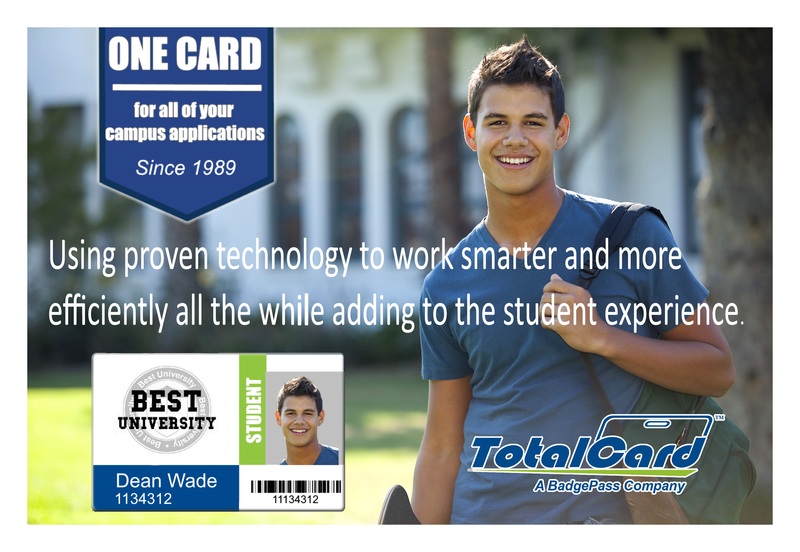 TotalCard is designed to work on each campus to provide user-friendly account management, reporting and system administration. 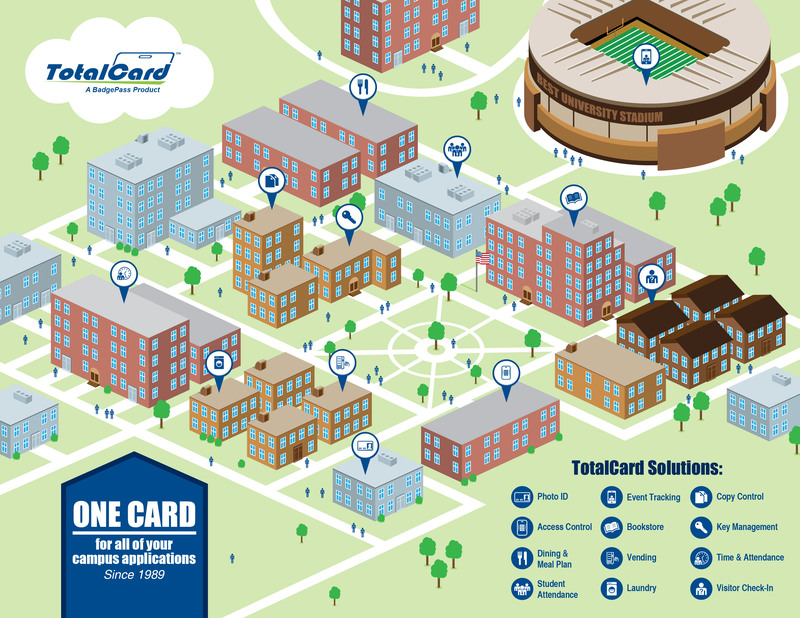 The system’s modular design allows campuses to implement features and applications one at a time, in phases or all at once, depending on specific campus needs. 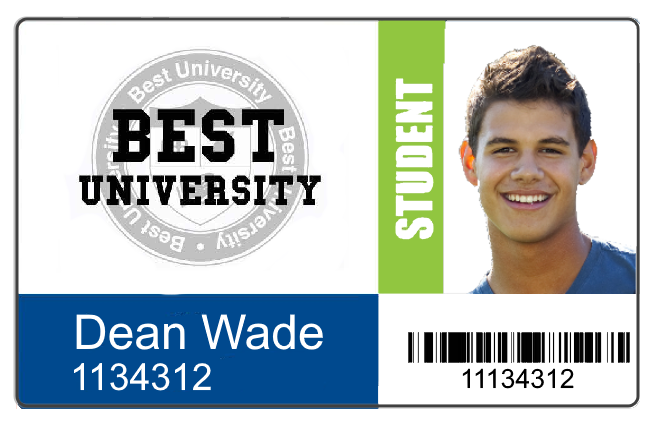 The system can easily expand as your campus needs grow in the future. Click on each modules tab to learn more! Modular in design to fit your needs and your budget. 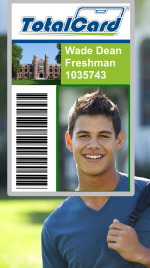 TotalCard™ is an industry-leader campus card management system, produced and provided by BadgePass. 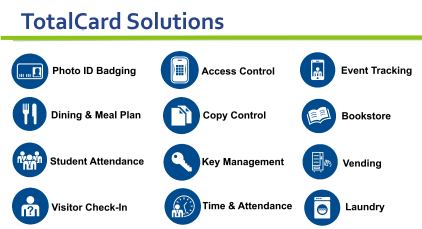 Available as a campus-hosted or cloud-hosted system, TotalCard has improved security and efficiency for has helped colleges and universities, and even Elder Care facilities of all sizes nationwide.